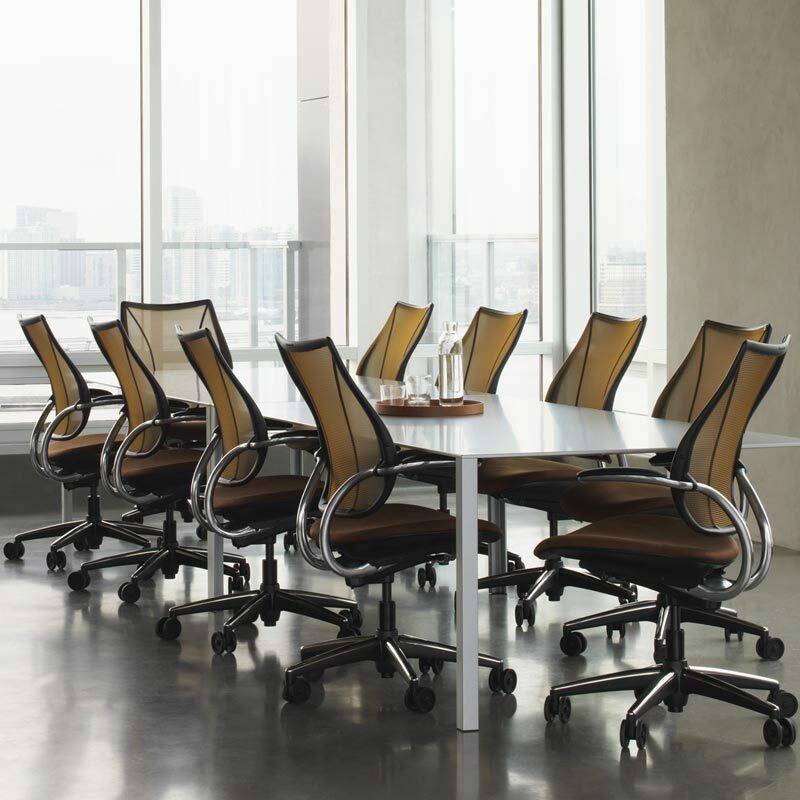 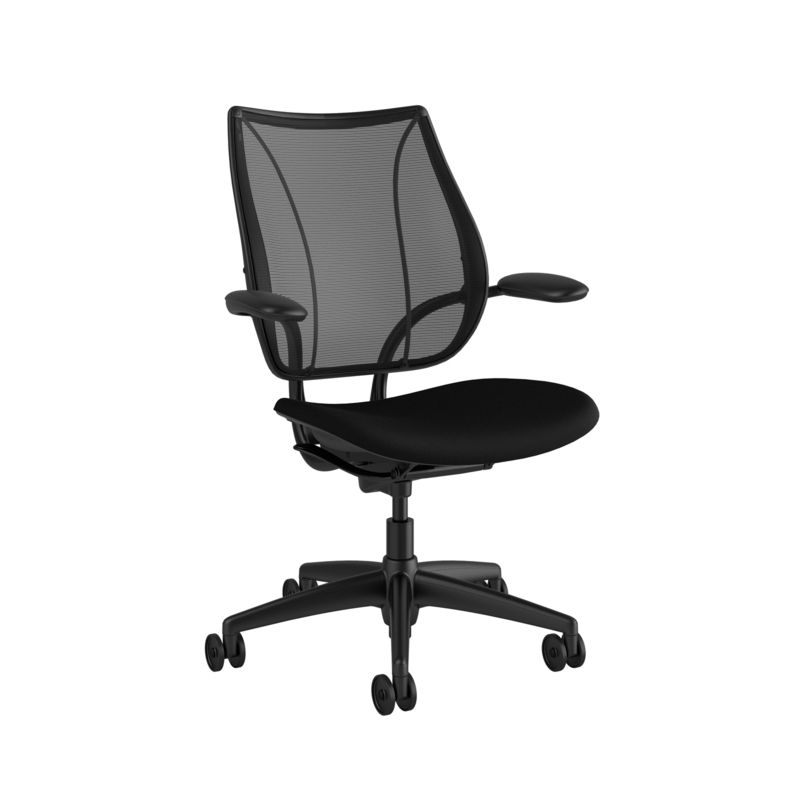 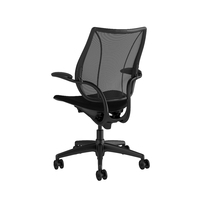 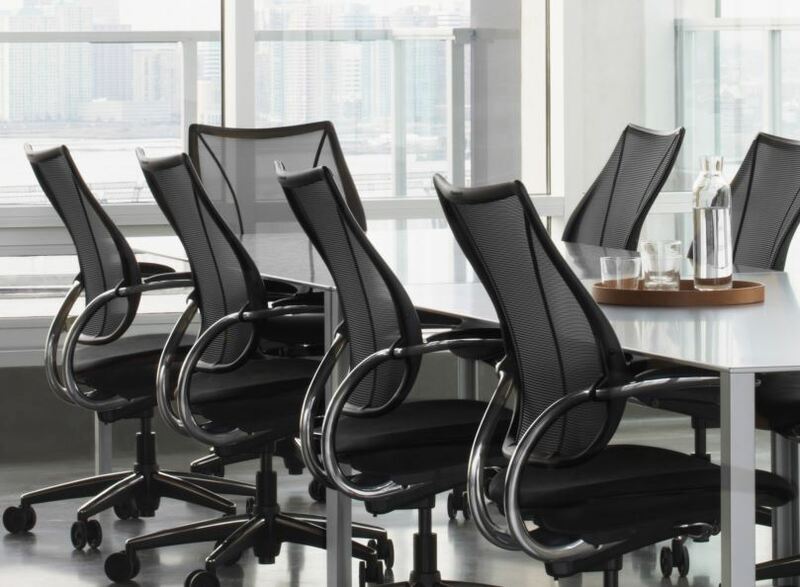 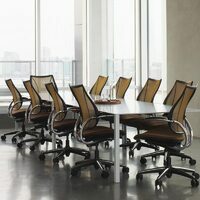 The Liberty Mesh Chair is one of the most recognized office or boardroom chairs. 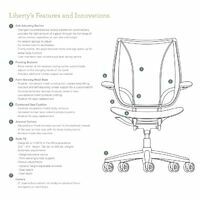 There is a reason why the Humanscale Liberty Chair is one of the most recognised office task chairs throughout the world, its function is equally as appealling as its unique form. It's form-sensing and tri-panel mesh allows for a better fit to the individual than a single panel mesh backrest can offer. 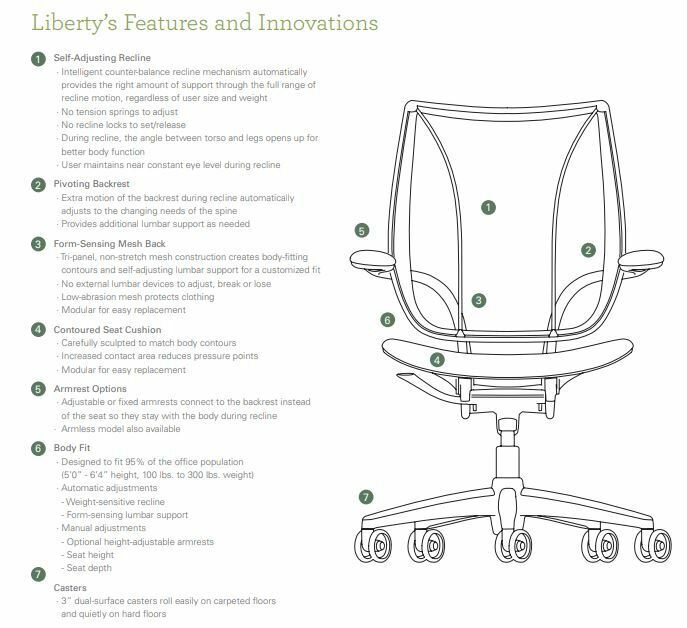 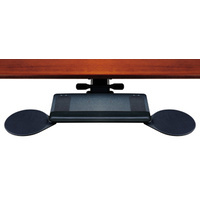 The Liberty's counter-balance recline mechanism doesn't require any form of manual adjustment, this intelligent chair provides the right amount of support through the full range of recline, regardless of the individuals body shape and weight. 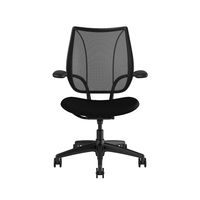 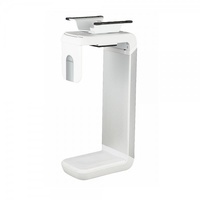 Designed for easy disassembly with clear recycling guidelines.93% of content is recyclable. 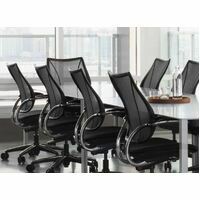 In stock in black fabric and black frame. Other colours available but extended lead times apply.